The Galilean satellite Io floats above the cloudtops of Jupiter in this image captured on the dawn of the new millennium, January 1, 2001 10:00 UTC (spacecraft time), two days after Cassini's closest approach. 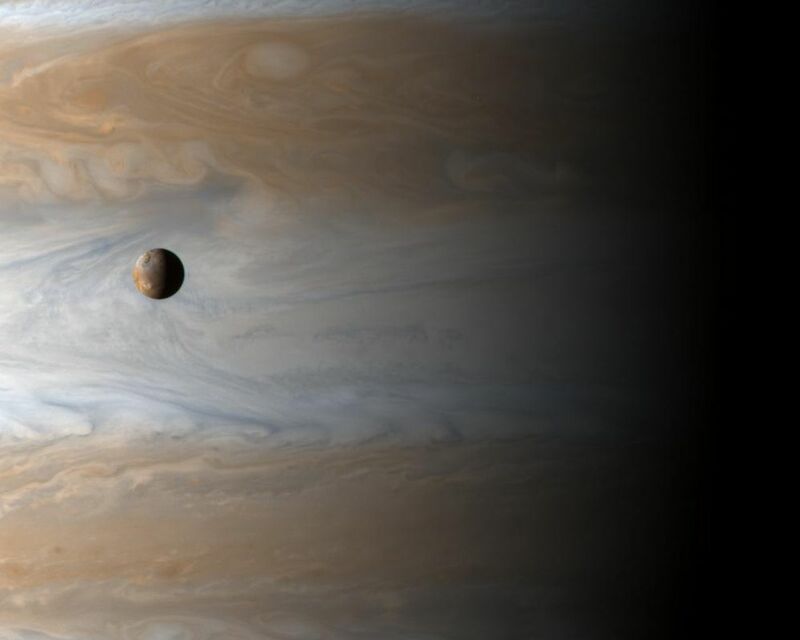 The image is deceiving: there are 350,000 kilometers -- roughly 2.5 Jupiters -- between Io and Jupiter's clouds. 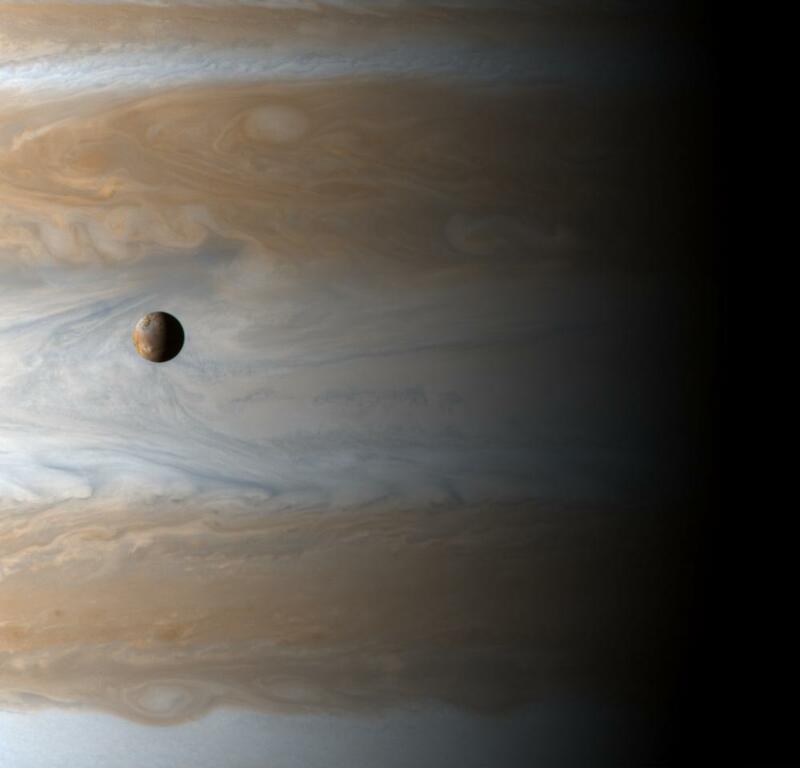 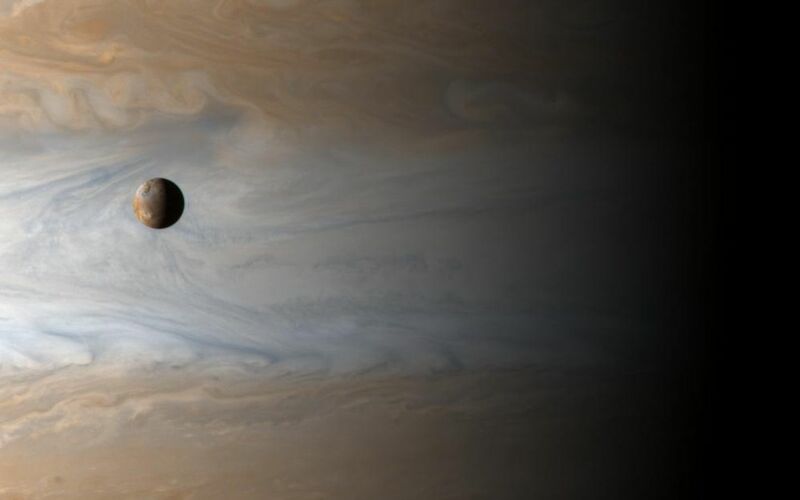 Io is the size of our Moon, and Jupiter is very big.